The winter on Vancouver Island this year has been a harsh one, relatively speaking. Uncharacteristically low temperatures, snow, and fickle wind/surf have dampened my usual high levels of stoke to get on the water for the first time in my life. My personal logged sessions of windsurfing, kiteboarding, and SUPing has been have been at an all time low. Our weather has been good for nothing really, and the winter has felt long, but I've noticed a wee change afoot. The first, very tentative signs of spring are noticeable if you are alert for them. The cherry blossoms are hinting at a triumphant return, as are the buds of leaves on the trees. As much as I love the winter energy that brings ocean swell and gale force winds to the Island, I live for the rebirth that is Spring. 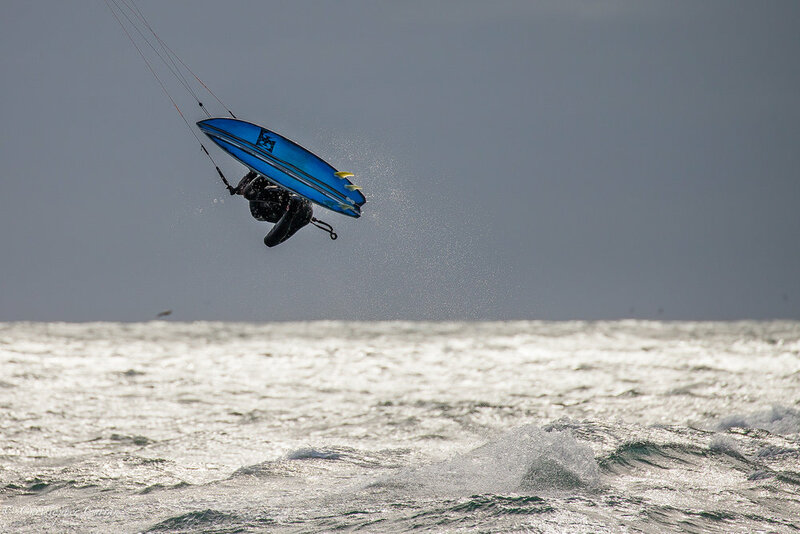 Last Friday finally offered up a fun, if very gusty session of kiting off of Clover Point and Cook St. I shot photos earlier in the day then had my own session a bit later. 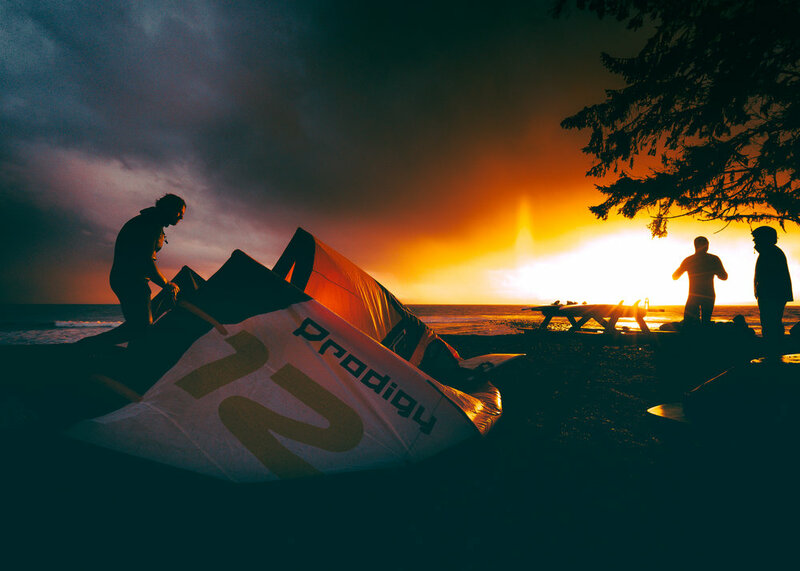 Strapless riding has been something I've been slowly improving on in my kiteboarding and three local kiteboarders, Erik Frang, Reece Myerscough, and Graham Harney (not pictured in this post, but watch this space! ), have offered huge inspiration in their very different yet equally impressive approaches to the art of riding unstrapped. 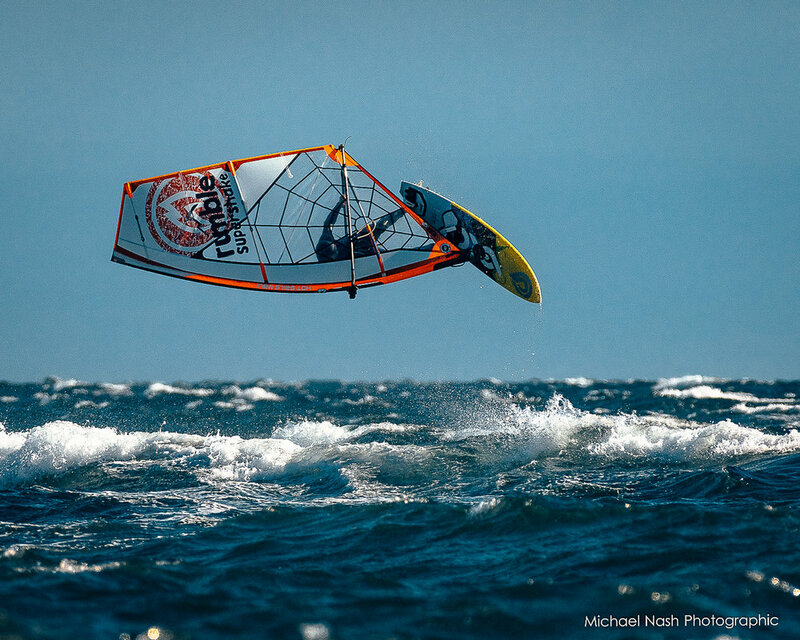 Because I still windsurf, I find my nervous system is often giving me old, familiar (and erroneous) input cues while I'm engaged in kiting, sometimes making the learning curve a little more sine-wavey. Flying the kite in the correct position while trying to keep an airborne, strapless board glued to your feet like a gecko on a wall has proven to be much more difficult than I'd imagined. I love the new challenge however! Erik making 1 foot mush looking much better than it was. To kick off my first blog post, I want to start by thanking both my wife, Stephanie, and friend Bryan Hudson, for creating and launching this site. I'm far more comfortable behind the lens and creating content than I am designing a site, so I offer my gratitude to both of them!! Water photography has given me an incredible and wonderfully new perspective. The years spent windsurfing, kiteboarding, paddling and surfing have given me so many moments where I'd wished I could capture a scene on the water where the image would reflect the experience of being there. An SLR in a water housing allows for more control and creativity than a GoPro (as good as they are!). The west coast of BC has such moody weather and presents all sorts of challenges for lighting, but this also makes the rewards that much greater when a shot works out. Most surfers have experienced surreal evening paddles up and over a critical wave face, offshore wind combing arcs of golden, backlit spray high into the air before drifting back down in a hiss of pelleting mist. Or windsurfers and kiteboarders on the Island noticing the monochromatic, wintery layers of texture on the water inscribed by the elemental movement of currents, rain, and wind. It's these ethereal, fleeting details that stand out in stark contrast from the day to day visual noise we tend to ignore. I love the sensation of feeling the movement of the water around me as I shoot the action. It's a very visceral and connected feeling that I'd never really considered would come from swimming with a heavy and awkward camera, but there it is: hydrotherapy of a very real kind. Rain+ wind+freezing water = happy Chris.